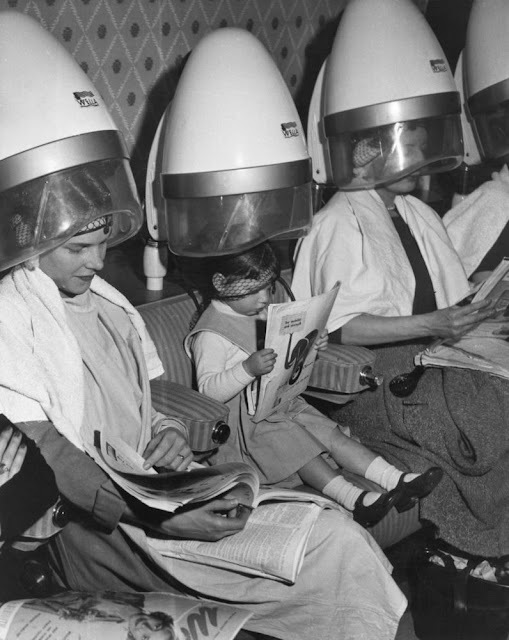 One of our biggest pet peeves about going to the hair salon is sitting under those industrial hair dryers that just seem to burn our scalps. 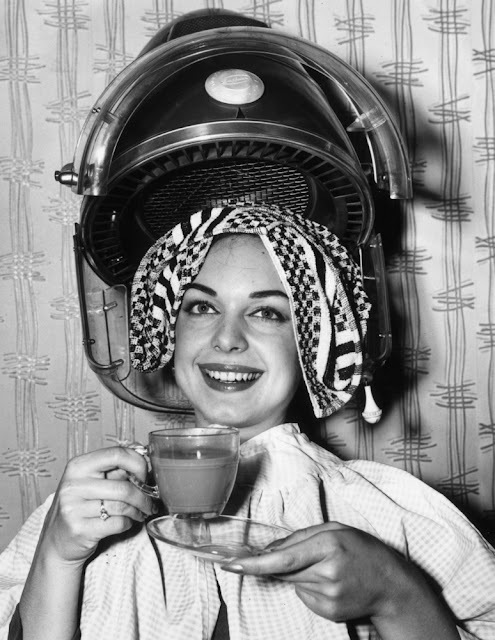 Now, with the new dawn of DIY hair styling, the no-heat revolution and cool products like the dryer bonnet, it’s pretty easy to transform our hair in the comfort of our own homes. 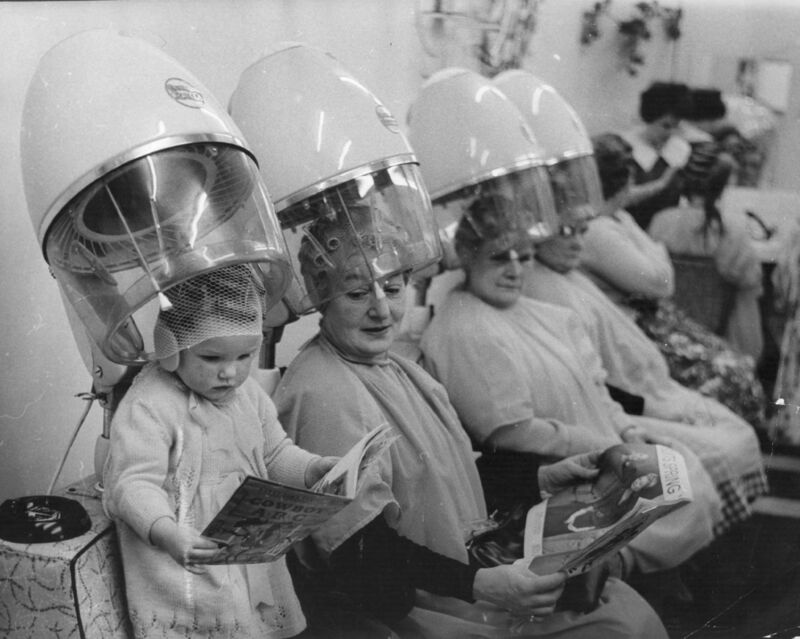 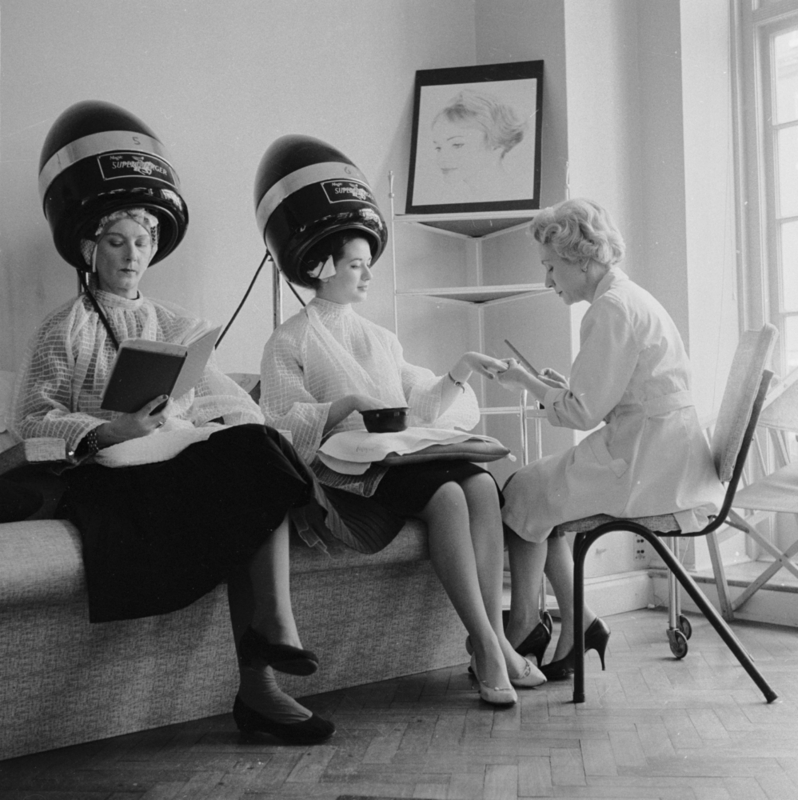 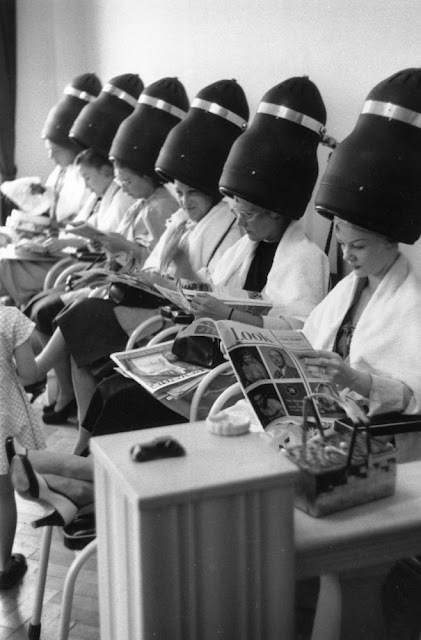 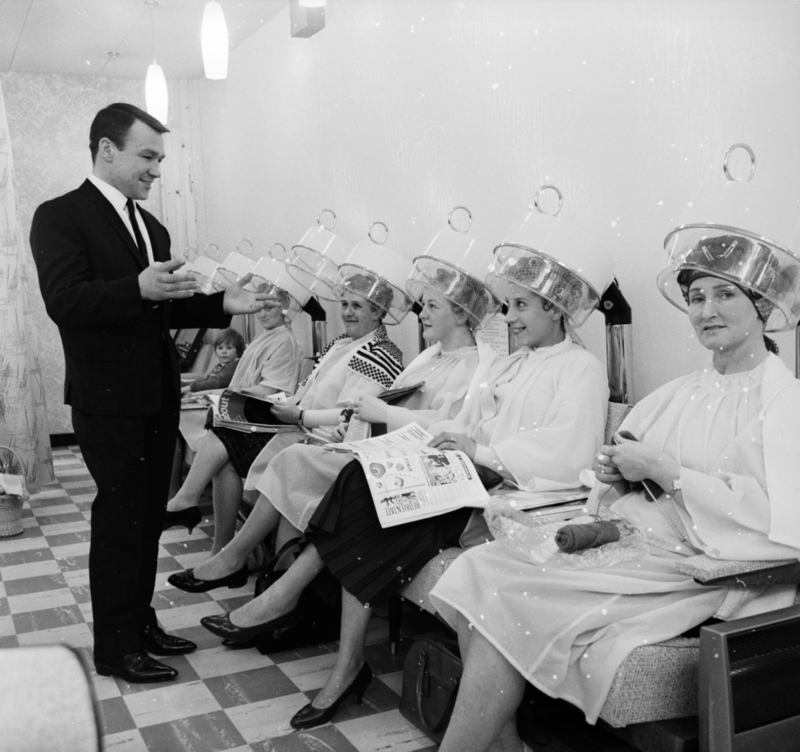 But back in the day, going to the salon was like a social event that you could not miss out on. Your friends were there to fill you in on the latest gossip, and it was imperative that you got the perfect roller set. 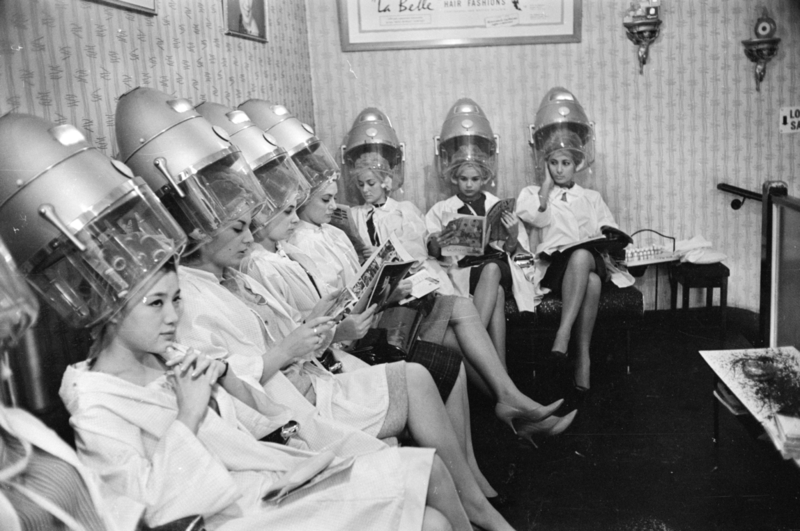 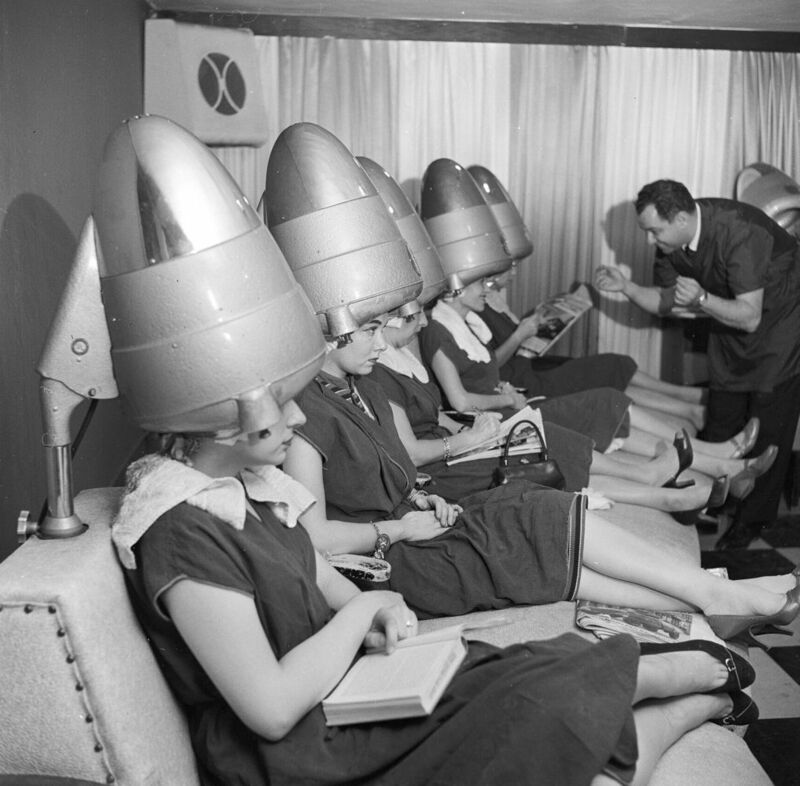 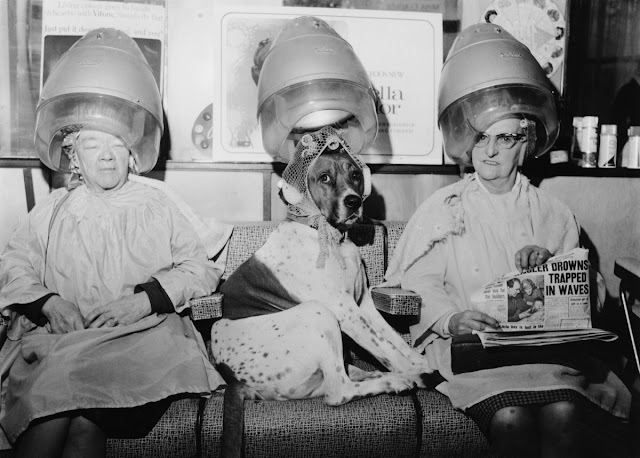 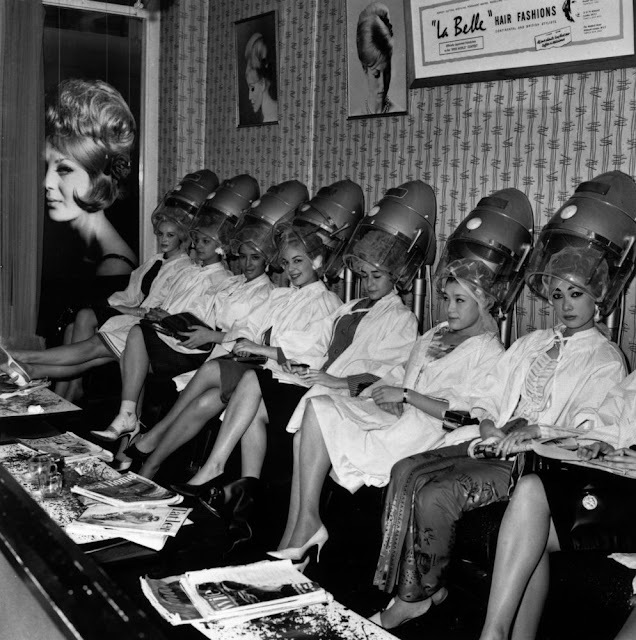 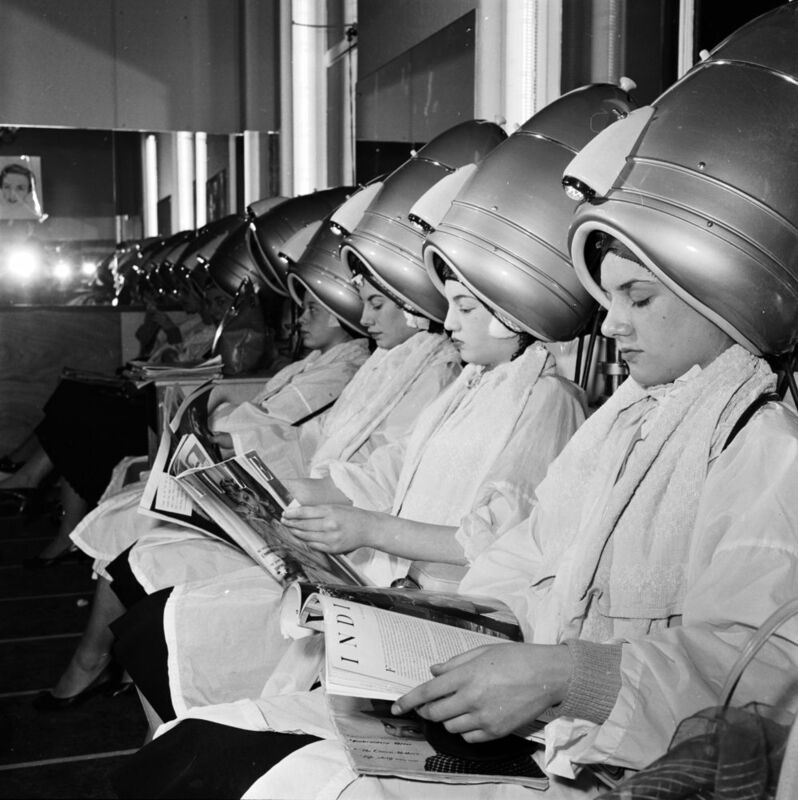 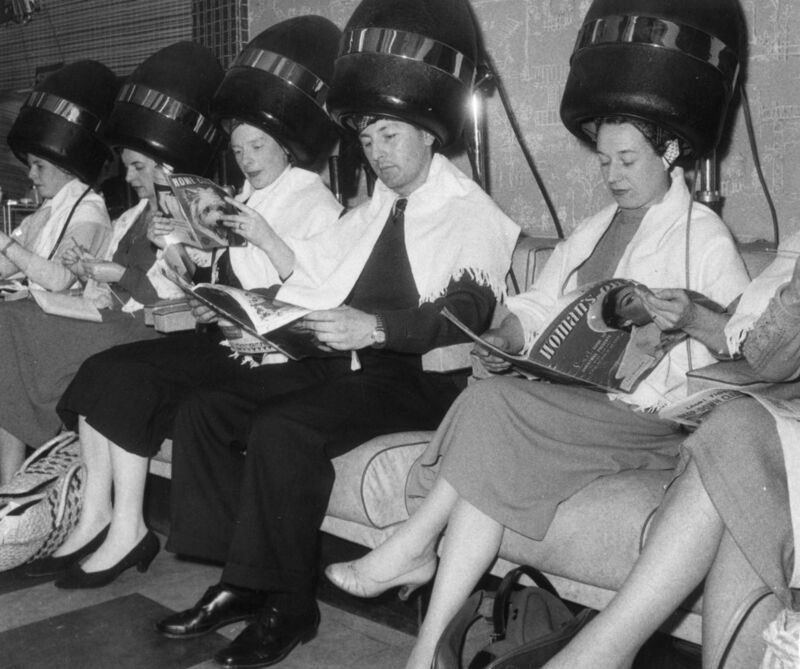 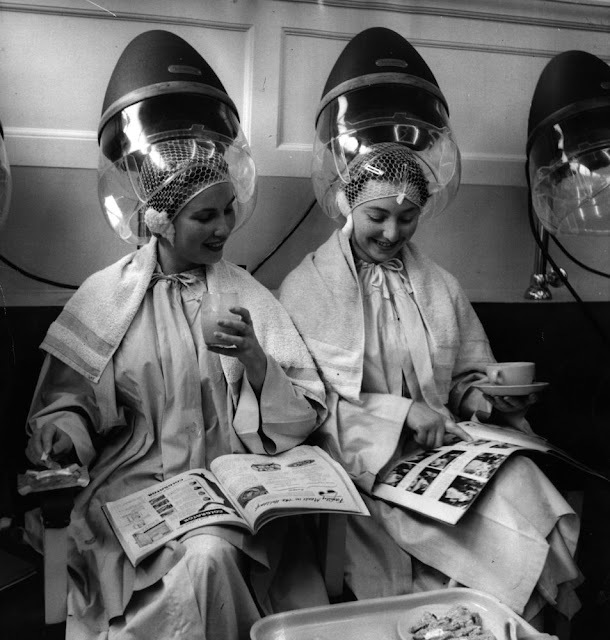 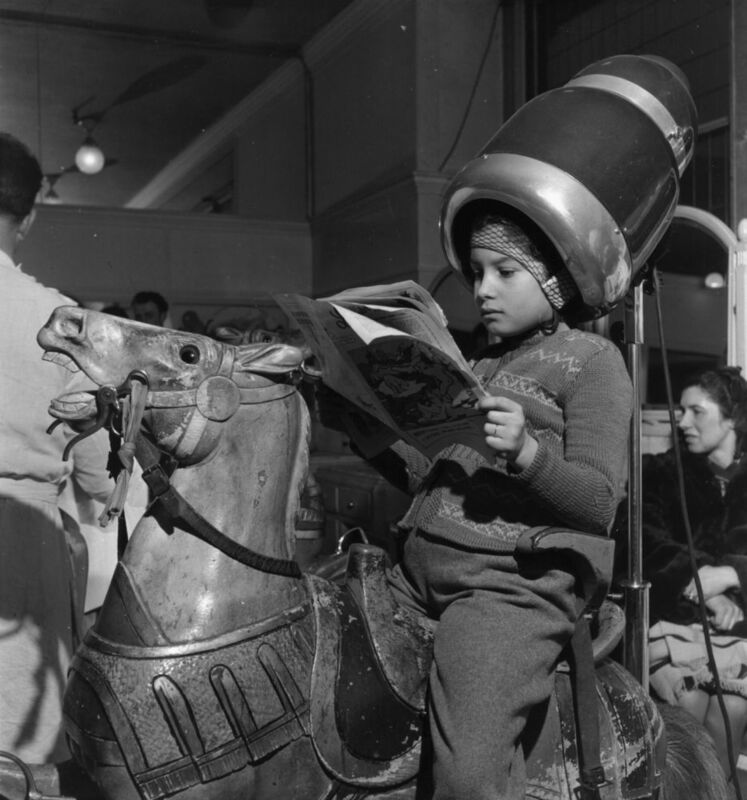 At least that’s evident in these vintage photos that show how a good of a time was had while sitting under the hood of a hair dryer.